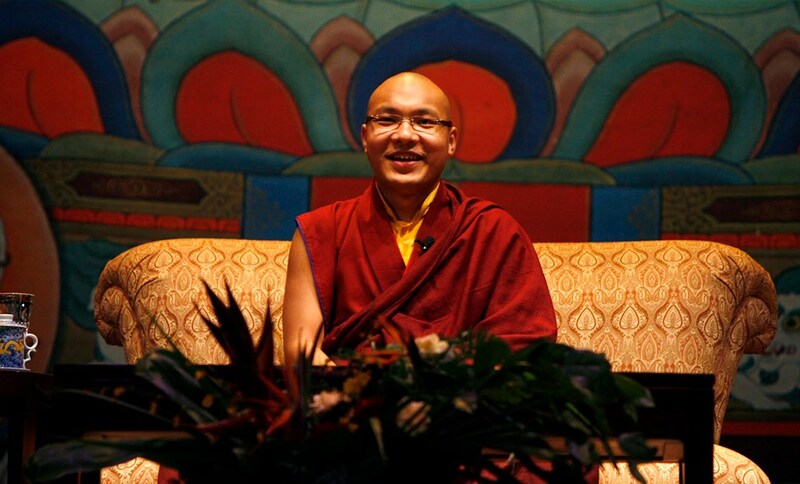 (TibetanReview.net, Jul17, 2018) – The local police and intelligence communities in the state of Himachal Pradesh are said to apprehend that the Karmapa Ogyen Trinley Dorje, the second most prominent Tibetan religious figure at present, may not return to India from his ongoing tour of the US. However, India’s Home Ministry sources cited ‘medical reasons’ for him being still there, reported tribuneindia.com Jun 16. The report cited sources as saying the Karmapa may extend his stay “indefinitely or even seek asylum in the US”. He has reportedly already been there for nearly 14 months. The report noted that he was under regular surveillance of the Indian government at the Gyuto Tantric Monastery at Dharamshala but that “in the US, he will be free to travel and to meet anybody, even those coming from China”. The report cited an unnamed senior official at the Karmapa’s office as refusing to comment on the matter. The Karmapa, recognized both by Tibet’s exiled spiritual leader, the Dalai Lama, and the Chinese government while he was in Tibet with commensurate status, had cited lack of religious freedom for escaping his homeland. He arrived at Dharamshala on Jan 5, 2000 and has lived there ever since under tight restrictions from the government of India. India allowed him to visit other parts of India on prior permission some years ago and travel abroad only recently. Buddhists in Sikkim where his exile headquarter, Rumtek, is located, had for long been seeking his arrival in the state. But all their appeals to New Delhi, with support from their Chief Minister, fell on deaf ears. Monks in the state recently ended more than two years’ relay hunger strike after New Delhi finally agreed to let him visit the state, except Rumtek. Following it, the Karmapa recently agreed to favourably consider a request from the community to visit the state in July, although there was no finality about the date as he was stated to have numerous prior engagements to attend to in the USA and possibly other countries.